We had a group of 12 people who showed up today, with nary a complaint about the less than summer-like weather. 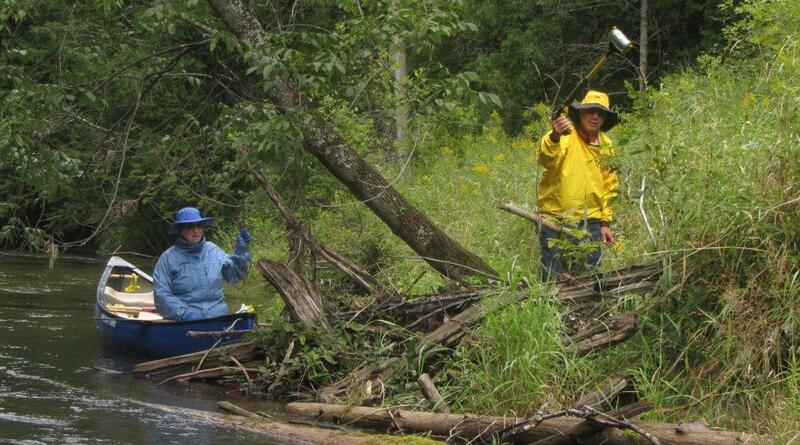 Everyone was a pro at this sort of mission, so raingear and rubber boots were included in the attire for the day. It didn't feel at all like late August, but we handled the situation easily. This stretch of the Pine is so lovely that it was really quite pleasant to float down, looking for trash, which was kind of hard to come by. I saw two feeder streams that I had never noticed before, in dozens of trips down the river. It was also so nice to have spotters within the group, so we rarely had to do a lot of turning around. And we laughed a lot! What a fabulous bunch! John & I used a tandem Novacraft canoe supplied by Pine River Paddlesports Center (so handy when we have to spear stuff on the bottom), and they also brought a kayak for Linda W to use. 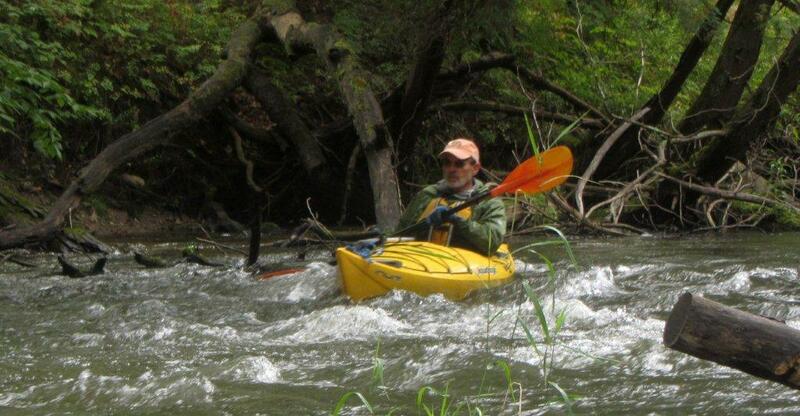 She had originally planned to use a sit-on-top, but then Mark Miltner (who was providing a free shuttle service for us) showed up with a decked kayak that was more suitable for the chilly damp weather. What a guy! Tracie was also planning to use a PRPC watercraft, but thanks to Harold's nice repair on her own kayak, she used it today to stay a bit drier. 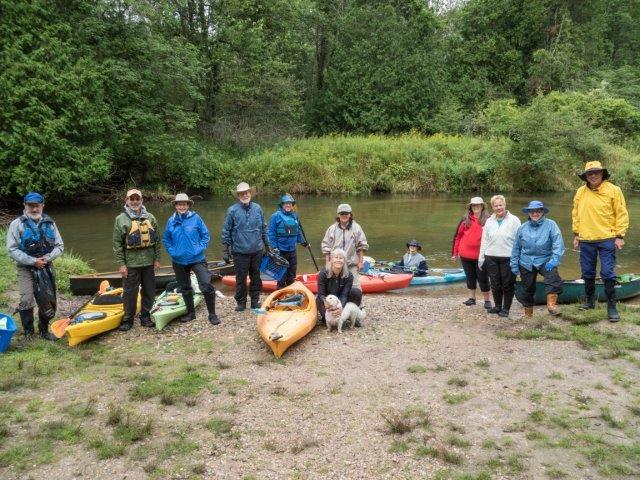 Harold, Jocelyn and Fred all came with solo canoes, and the rest of the bunch - Mike & Barb R, Gerald & Sue, and Jackie used rec kayaks. There was actually more rain that fell in TC than down near Wellston; we had intermittent drizzle, with a few patches of sunshine. The water in the Pine River was very clear, so it was easy to spot stuff. 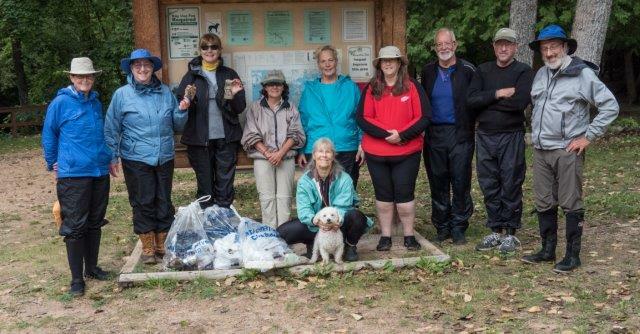 The pickings were slim - only 3 1/2 bags of trash. Largest item - the lid of a giant ice chest. Messiest: the "beer fountain" created in Harold's boat when he accidentally punctured a fresh can of Bud Light. 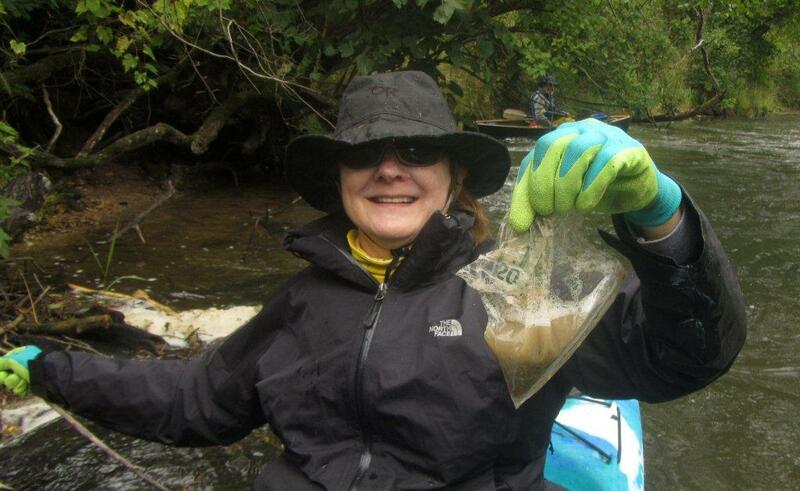 Best find: an old Ziploc bag spotted by Sue, containing some mud and $30 in cash! Tracie felt richer too, when she stopped for a break on a beach and picked up 15 cents. A bit of a loss: Sue's grabber stick is somewhere out there, apparently disappearing in the excitement of the money grab. Oh well, now she can afford to buy the new deluxe model. 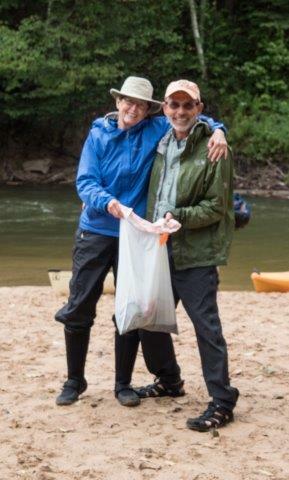 Fortunately, John & I were carrying two grabbers in the canoe, so we gave her one to use for the remainder of the trip. We decided to skip a big lunch break on the river, and simply snacked a bit until we finished at Dobson at 1:30. Once there, we loaded boats, consolidated trash, took celebratory photos, and sat down to eat our lunch at a picnic table in the sun! A very good day. 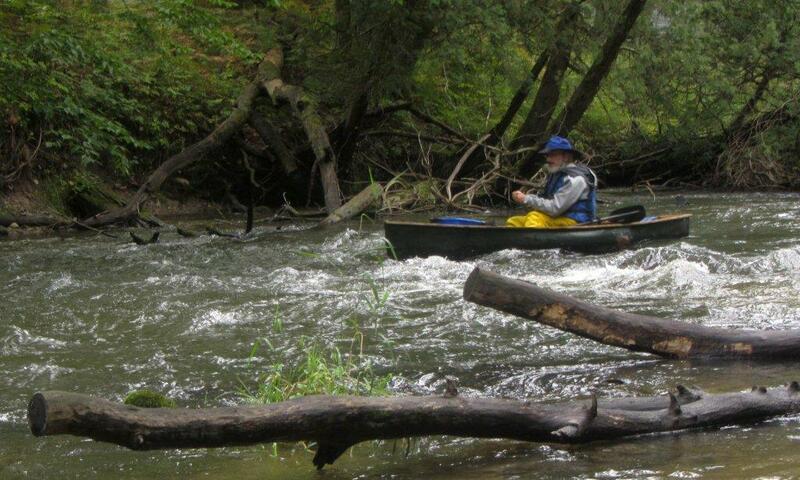 Thanks to the rangers at the Huron-Manistee National Forest for the watercraft and vehicle permits.